MeTime Audio, LLC and its divisions, subsidiaries, and affiliates are committed to protecting the privacy of our users. On certain sites, some type of information is collected about a user to make the site more useful for the user. This policy statement describes how our information is collected from you and how we use it. By visiting a MeTime Audio, LLC web site, you are accepting the practices described in this policy. This Privacy Statement was last modified on November 25, 2013. MeTime Audio, LLC reserves the right to change this Privacy Statement at any time and for any reason. We encourage you to look to this Privacy Statement each time you visit the Site and especially before you provide any personally identifiable information. If you give personal information to us by entering it in a form or by some other mechanism, MeTime Audio, LLC will use that information according to the policies expressed in this document. Like many Web sites, we use “cookies” or other types of clickstream data for sites that allow you to login to conduct business and access or provide non-public information. You can configure your browser to accept all cookies, reject all cookies, or notify you when a cookie is set. (Each browser is different, so check the “help” menu of your browser to learn how to change your cookie preferences.) If you reject all cookies, you will not be able to use or obtain MeTime Audio, LLC products or services that require you to “sign in,” and you may not be able to take full advantage of all offerings. However, many MeTime Audio, LLC products and services do not require that you accept cookies. This site is not intentionally designed for or directed at children 13 years of age or younger without obtaining prior consent from a person with parental responsibility. It is our policy never to knowingly collect or maintain information about anyone 13 years of age or younger (such as a child’s name or e-mail address). Please contact CustomerService@metimeaudio.com if you think we may have inadvertently collected such information. There are no restrictions to the way MeTime Audio, LLC can use or share anonymous information. We will use anonymous information to help us make our sites more useful to visitors and for other business purposes. We may prepare reports and other materials using anonymous information. Since these reports and materials contain no personal information, we may share them with others. All information that is not personal to you or someone else, such as questions, comments, ideas and suggestions that we refer to as “Feedback” shall be considered as non-confidential information. MeTime Audio, LLC will be free to disclose and use the information for any purpose and through any means without any obligation whatsoever to any user, e.g., MeTime Audio, LLC is free to reproduce, use, disclose, exhibit, display, transform, commercialize, create derivative works and distribute the Feedback to others without limitation. By choosing to send a message to MeTime Audio, LLC, you acknowledge that all feedback will be considered to be non-confidential. Further, MeTime Audio, LLC shall be free to use any ideas, inventions, concepts, know-how or techniques contained in such Feedback for any purpose whatsoever, including, but not limited to, developing, manufacturing and marketing products incorporating such Feedback. Some of MeTime Audio, LLC sites provide additional information and capabilities to users who register with the site to receive a username and password. That registration process will require that you provide Personal Information. By submitting personal information (such as your name, address, e-mail address, credit card information, other payment method information, telephone number, etc. ), you agree that we may keep a record of it and may use it in accordance with the above. We also may use your personal information to help us in our business, including but not limited to improving our web site, marketing and/or product development. It is the policy of MeTime Audio, LLC to make best effort to remove and destroy an credit card and/or payment information after 90 days of receipt. Any information received by a MeTime Audio, LLC site will be stored securely by using methods and protections that are as reasonably secure as practical, and only used by MeTime Audio, LLC and its authorized affiliates (sales reps, etc.). Information about our customers is an important part of our business, and we do not sell such information to others. The MeTime Audio, LLC computers (called “servers”) process and store an enormous amount of information every day. These computer records are called “log files.” Log files are used for analysis, research, auditing, and other purposes, as described above. After this information has been used, it is stored in a location that is inaccessible from the internet and is available to only a limited number of persons within MeTime Audio, LLC. Until the information is stored, your MeTime Audio, LLC ID may remain in our active server log files. E-mail addresses provided at registration or by other mechanism may be used by MeTime Audio, LLC or its affiliates for communication with you about an order or its status and, unless you opt-out, for communications about updates, products, and service information. MeTime Audio, LLC may transfer the Personal Information to the subsidiaries, divisions, affiliates or other entities under common ownership with MeTime Audio, LLC. You also agree that MeTime Audio, LLC may share your personal information with others who help us with these activities. These companies and/or individuals may not use or share your personal information with others except for the purpose of assisting us with our business activities pursuant to our request. MeTime Audio, LLC will not sell, exchange or publish your personal information without your permission, except as noted above or in conjunction with a corporate sale, merger, dissolution, acquisition, or other similar event. MeTime Audio, LLC. The materials on this site are the subject of copyright. Copyright entitles the owner to the exclusive right to copy and reproduce the materials. Copying or reproducing the materials may infringe the copyright. You are permitted only to download, display, print or reproduce the materials in unaltered form for personal, non-commercial use, research or study. Requests for authorization to use the materials contained on this site for any other purpose should be directed in writing to MeTime Audio, LLC at customerservice@metimeaudio.com . 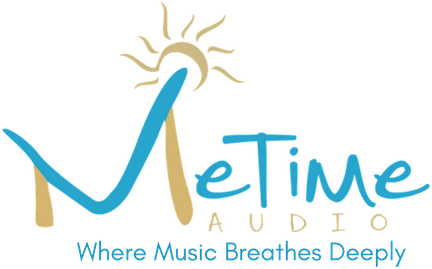 The MeTime Audio, LLC name, logo and associated design, and those of any affiliated company, are registered trademarks owned by MeTime Audio, LLC. These names, logos, and designs may not be used in any manner inconsistent with MeTime Audio, LLC ownership rights thereto. Any other technologies, designs, techniques, business information, technical information, specifications, and other such “intellectual property” that may be found on or disclosed within our website is for informational purposes only and may not be sold or distributed for commercial gain. MeTime Audio, LLC will try to make all reasonable attempts to provide timely, accurate information (the determination of which is solely within our judgment and discretion) that appears on its web sites. Nonetheless, some errors may find their way into the site or may be inconsistent with information or facts that develop within the marketplace. We also do not want you, a visitor to our site, to have a different perspective of the role of our web site than we do within MeTime Audio, LLC. The following disclaimers are intended to protect MeTime Audio, LLC against over-reliance on its web sites and the information contained in them. MeTime Audio, LLC, its affiliates, officers and employees assume no responsibility in relation to the use of this web site or the information contained in it. MeTime Audio, LLC makes no representation as to the availability, accuracy, or completeness of the content of this site. MeTime Audio, LLC shall not be liable for any damages or injury resulting from users’ access to or inability to access this site or from reliance on any information at this site. In addition we reserve the right to interrupt or discontinue any or all of the functionality of this site or to change its content at any time without prior notice but we do not assume any responsibility to update it. We assume no liability regarding any use of the information within our sites. The materials and information contained on, or obtained from this web site, are distributed and transmitted “as is” without warranties of any kind, either express or implied, including, without limitation, warranties of title or implied warranties of merchantability or fitness for a particular purpose. Further, MeTime Audio, LLC and its affiliates do not warrant that the servers supporting the web site will be free of viruses, other harmful components, or defects of any nature. Information contained on this web site, including information obtained from external links thereon, is provided without any representation of any kind as to accuracy and should be verified by the user. MeTime Audio, LLC and its affiliates are not responsible for any special, indirect, incidental or consequential damages that may arise from the use of, or the inability to use, the web site and/or the materials contained on the site whether the materials contained on the web site are provided by MeTime Audio, LLC, an affiliate, or a third party.NO WARRANTY OF ANY KIND, EITHER EXPRESS OR IMPLIED, INCLUDING BUT NOT LIMITED TO WARRANTIES OF TITLE OR NON-INFRINGEMENT OR IMPLIED WARRANTIES OF MERCHANTABILITY OR FITNESS FOR A PARTICULAR PURPOSE, IS MADE IN RELATION TO THE AVAILABILITY, ACCURACY, RELIABILITY OR CONTENT OF THESE PAGES. METIME AUDIO, LLC SHALL NOT BE LIABLE FOR ANY DIRECT, INDIRECT, INCIDENTAL, SPECIAL OR CONSEQUENTIAL DAMAGES, LOST PROFITS OR FOR BUSINESS INTERRUPTION ARISING OUT OF THE USE OF OR INABILITY TO USE THIS SERVICE, EVEN IF METIME AUDIO, LLC HAS BEEN ADVISED OF THE POSSIBILITY OF SUCH DAMAGES. SOME JURISDICTIONS DO NOT ALLOW EXCLUSION OF CERTAIN WARRANTIES OR LIMITATIONS OF LIABILITY, SO THE ABOVE LIMITATIONS OR EXCLUSIONS MAY NOT APPLY TO YOU. THE LIABILITY OF METIME AUDIO, LLC WOULD IN SUCH CASE BE LIMITED TO THE GREATEST EXTENT PERMITTED BY LAW. The information contained in this web site and the web sites of any company affiliated with MeTime Audio, LLC are not intended to be legal advice. Any information posted on any MeTime Audio, LLC web site should be considered as general information only. We make our best efforts to provide comprehensive, complete and current information on our web sites. It is possible, however, that there may be additional information about one or more products that is not posted to a web site. Please contact one of our sales representatives or your local dealer if you need additional information about one of our products or any other information on a MeTime Audio, LLC web site. The specifications of the products listed in our website, catalog sheets, packaging, or other media, correct at the date of publication, are subject to change without notice.We will try to make sure the information we post is accurate, but we cannot guarantee perfection. The pages, databases, and pages accessible through this web site contain large quantities of information which may have been entered manually. Inevitably, errors and inaccuracies occur in such a process. Although efforts are made to identify such errors and inaccuracies, the information may nevertheless contains errors and inaccuracies.Typographical or pictorial errors within our sites which are brought to our attention will be corrected in subsequent updates. Product dimensions in our website, packaging or other media are nominal and are provided for the convenience of our customers. We reserve the right to make changes from time to time, without notice, which may change the dimensions or information shown. Please check with your MeTime Audio, LLC product or customer service representative before using information from our web site for any purpose beyond its standard use. Some of the information contained in this web site is provided to MeTime Audio, LLC and its affiliates by third parties. It is not possible for MeTime Audio, LLC and its affiliates to check exhaustively the accuracy of all information provided by third parties. Inaccuracies may arise in that information in different ways, and those inaccuracies may not be evident to users of this web site. Reasonable efforts have been taken to provide accurate information in the web sites of MeTime Audio, LLC and its affiliates. Although we may provide links to other web sites as a matter of convenience for our users, we do not necessarily share their viewpoints and cannot guarantee the accuracy or authenticity of the information within those sites. Use these sites at your own risk. Under no circumstances is MeTime Audio, LLC responsible or liable for any privacy, intellectual property, or other policy of a site for which a link is provided on a MeTime Audio, LLC web site or a web site of a company affiliated with MeTime Audio, LLC. Links to the web sites of other organizations and businesses may be incorporated within a MeTime Audio, LLC web site. Such links do not and should not be taken as implying an endorsement or approval of the content of those web sites, the activities of the organizations and businesses responsible for those web sites, or any policies associated with such web sites whether or not those policies are published. It is unlikely that there will ever be a security system that is utterly infallible and unbreakable by a concerted attack with enough time, skill, and resources. We will do the best that we can to protect communications between your computer and ours, but there are risks. MeTime Audio, LLC may have at least one or all three types of the following types of websites each of which may have different types of security associated with the specific type of web site. One type is for a publicly available site – no login is required, and there is no encryption of any information. The second type is semi-secure – a login system requires a user ID and a password, but there is no encryption of any exchanged information. The third type of site has the highest security – a login system is used with an encrypted data communication system based on SSL encryption. This highest level of security would be used where financial information and orders are involved. Highly secured sites will generally have a URL that begins with https://. . ., and some browsers will show an icon of a closed lock to indicate a secured connection.You should be aware, however, that there are some inherent risks associated with the transmission of information via the Internet, and with using SSL as the encryption mechanism. If you do not wish to use any of the MeTime Audio, LLC company online services, you can transact with us by post, fax or telephone.In an effort to prevent unauthorized access, maintain data accuracy, and ensure the correct use of information, we have put in place reasonable and appropriate physical, electronic, and managerial procedures to reasonably safeguard and secure the information we collect online.